I am an assistant professor in the Department of Mathematics at Dartmouth College. My research focuses on applied mathematics and computational issues in prediction and uncertainty quantification of complex dynamical systems. I am interested in particular in computational methods to efficiently combine numerical prediction models with data, which are scalable for big data and high-dimensional systems. I am co-organizing a minisymposium "Reduced-order methods for data-driven estimation" at ICIAM 2019. (April 30, 2019) I will give a talk at the computational science seminar, Univ of Massachusetts at Dartmouth. 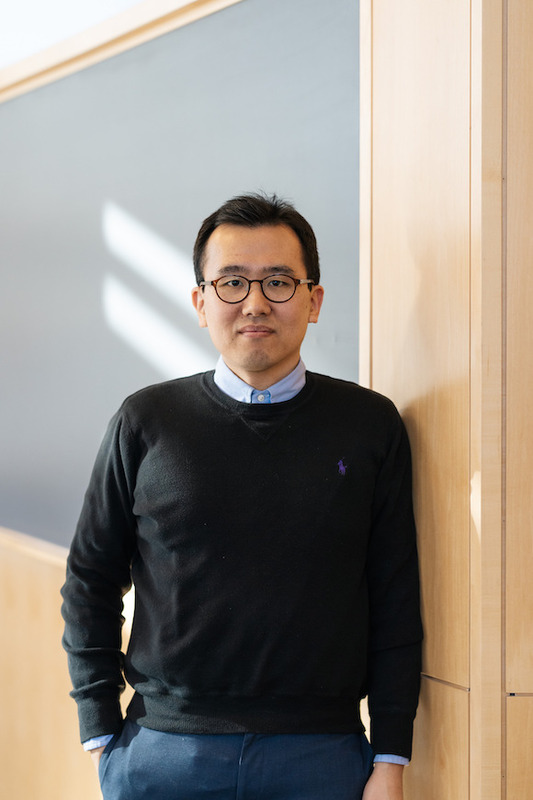 (April 13, 2019) I will give a talk at 2019 New England Numerical Analysis Day that will be held at Worcester Polytechnic Institute. (Spring '19) I am teaching M23 Ordinary Differential Equations. (Fall '18 - current) I am organizing Applied and Computational Mathematics Seminar, every Tuesday 2:00 - 3:00 at Neukom conference room. Let me know if you are interested in giving a talk. (March 17, 2019) I gave a talk at the Andy Majda's 70th birthday conference. (Winter '19) I taught M106 Topics in Applied Mathematics: Data-driven Uncertainty Quantification. I am now on the committee of New England Numerical Analysis Day (NENAD). I will organize NENAD 2020 that will be held at Dartmouth. My research focuses on mathematical problems in prediction and uncertainty quantification of complex dynamical systems. In particular I am intrested in robust and efficient computational methods to combine numerical prediction models with data, which are scalable for big data and high-dimensional systems. Application areas of my research include but not limited to geophysical fluid systems and combustion models. You can find more details from my publications. "You were so excited about the material and I liked that a lot! I enjoyed the part that you covered some basic stuff in the class when you realized that there are people from engineering and science, sitting there and they have absolutely no clue about what's going on! Thank you very much!" "He did a great job of trying to incorporate real-world connections to help make what we were learning have value to us. He asked us questions to help us learn for ourselves and would take the time to show us alternative solutions or alternative problems so that we would be exposed to multiple ways of analyzing problems. Thank you for an enjoyable math experience from someone who hadn't been expecting one." "He was amazing and gave helpful tips for not only this course but for future math and science courses." "I hope you can find accomplishment in the fact that I have decided to double major in CS and Math because of what you have taught me." "I really enjoyed the physics examples provided by Yoonsang. He created a very entertaining format to learn calculus." "Extremely intelligent Yoonsang Lee gave lessons outside of math that pertained to many subjects. He related math to many applications, which at times complicated things." "He will be a great professor one day because he is able to explain complex conceptual problems in simplistic terms!" It is a good exercise to develop your own PDE solvers based on what you have learned in Numerical Analysis. However, for practical research computations, it is strongly recommended to use PDE solvers developed and refined by many researchers. There are many PDE solvers freely available online. Among others, I recommend the following PDE solvers - AMReX @ LBL and PETSc @ Argonne - for robust and efficient computations. Check out the following links. Data assimilation combines a numerical forecast model with observational data to improve the prediction skill. If you are interested in testing/running data assimilation, please check the following programs.